Dak here again, to provide my not-a-longtime-player-of-GW1 perspective on a big explodey thing that’s popped up. It seems that Jon Peters’ blog post on how the new system of traits and attributes work has caused quite a stir among the… shall we say, powergamers? Complaints about everything from the fee for respeccing to the fact you require Trainers to the trait lines themselves, and how mathematically speaking this system will make GW2 RUINED FOREVER. Now… it seems like a lot of these complaints come from the view of having played the first game for a while, so can I just ask all the angry people to breathe calmly for a second while I explain my thoughts on it? First, why the complaints about a respec fee, and going to Trainers? From a game design perspective, small fees like this serve a two-fold purpose: Helping the game economy, and instilling a sense of worth to your build. The first part is self-explanatory, but the second: If you can switch your traits at any time, with no repercussions, then do your trait selections really matter? Who needs to think about it; just drop ’em in wherever and don’t worry about it until you come up against something too strong. Then you might as well just pump all those freely “respecc-able” points into whatever trait will maximize your usefulness against that particular mob, and then do it all over again on the next one. But… we’ve kind of lost the “RP” part of the RPG there, and instead have adopted a ruthless “numbers killing numbers” game which happens to have pretty graphics. Instead, the fee adds weight to your trait choices. Is your Mesmer’s playstyle better suited to Dueling, with its high-spike criticals, or should you perhaps add that next point to Illusions, the better for Shattering effectively? When you know that these choices are relevant, you’ll most likely end up playing smarter, and since you’ll have to live with those choices (unless they’re really not working for you, in which case that small fee probably won’t look so bad to rework it, eh? ), you’ll learn how to use them more effectively and you’ll end up playing better, too. Going to Trainers is, speaking design, another way of controlling respeccing so that there’s further weight to your choices, but I look at it more from a story perspective. GW2 is a very heavily story-oriented game, so from a plot perspective what makes more sense: Magically getting better at something right when it’s convenient, or going to a master to learn a new fighting style in a time of extreme need? Since GW2 is by all evidence a well-written story, I think we all know the answer to that. And the traitorous trait lines themselves? Clearly there won’t be one particular trait that makes the most effective Guardian across the board; if there is, it’s a balance issue that will need fixing. The traits are so that, like your well-adjusted face and build, your personal backstory, your highly customized armor, even how you fight can be uniquely tuned to how you want to play the game. Don’t believe that impression? Play around with the trait calculator for a bit and see how you feel about the system. So just… don’t freak out over something you haven’t had a chance to play yet. If you get into the beta, then you can freak out (you just can’t tell anyone). Until we’ve gotten to play, let’s just not assume the worst yet. Okay. Fair points, all, but…I trust ArenaNet to do this right, and I think people are thinking too much in terms of other games where death is actually death (not necessarily permanent, but still), whereas…that’s not the case here. And I think it won’t be something that most people will have to worry about all that frequently. First of all, in order for your armor to actually break, all of the pieces must be damaged first. A piece does not get damaged unless you are actually defeated – that is, you must have been downed, and have failed to rally yourself. A damaged piece of armor does not actually give you any disadvantages – it’s simply a warning to be careful. And as GW2 seems to me to be a sort of game that promotes smart play, along with the fact that you can move while casting and attacking, means it’s going to be easier to dodge attacks, and being downed will become something that happens less frequently. Now, say you’ve had a string of bad luck and you’ve been defeated a few times. You still need to be defeated enough times for each piece of your armor to be damaged before any of it will break. Being as there are six pieces of armor that can be worn, that’s a lot of times you’d need to be defeated before any of your armor actually breaks! Once you hit that point, though, your armor will break one piece at a time each time you are defeated. So even to lose all of your armor…you’re looking at having had to be defeated 12 times. Hopefully, for most people, that’s not terribly likely. The only thing where I can see this going wrong is the price it costs to repair a piece of armor. I’m guessing it won’t be a huge amount, and personally I think it’s something that should scale with level – a level 40 set should cost more to repair than a level 10 set, for example, but even for someone at level 40 it shouldn’t clear out their bank account to get their armor functional again. Is this something that’s different from what they’ve done before? Yes. But is it automatically a bad thing? No, I don’t think so at all. I’ve been wary of a great number of changes that were made for Guild Wars 2, but I trust that they know what they’re doing, and I really just see this as being a mechanic to train people to play smart. Which isn’t a bad thing at all – I know I like games that require me to do some thinking to play them well! What do you think of the armor repair mechanic? Good, bad, not sure yet? Guild Wars 2 vs. Internet! 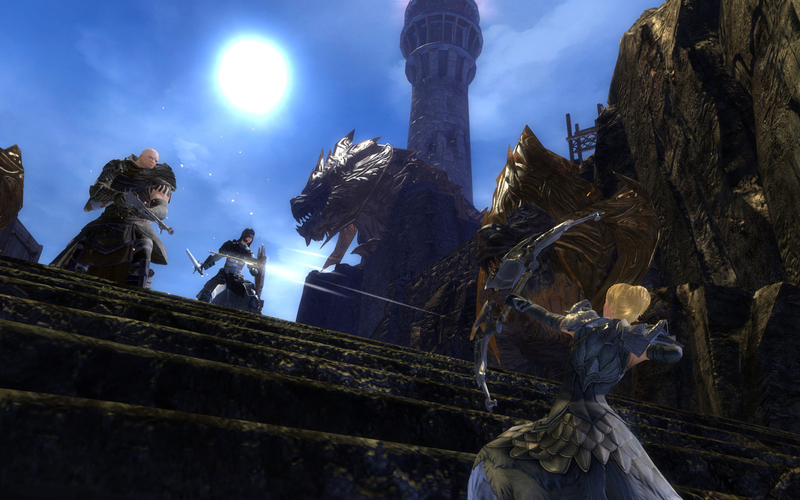 First, there was the announcement on Wednesday that ArenaNet would be taking beta signups for Guild Wars 2 for 48 hours. Within five minutes, the site was broken from so many people rushing at once to submit their info at once. The funny thing was that a few hours before I had said that if we hadn’t broken the site with our impatient constant refreshing when the sylvari were supposed to be revealed, I doubted it would happen now. About an hour ago, on twitter ArenaNet posted the link to their Ducksboard ticker that they were using to track signups. It promptly crashes and the poor people at Ducksboard are trying to get everything running smoothly again. If you had gotten on the page before it stopped loading, then the counter would continue to go up, but then it just stopped updating entirely. For the record, the number it stopped at (at least on my window) was 994,925. Yes, just shy of a million. 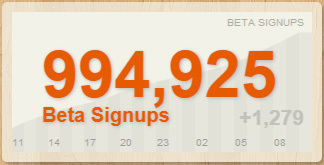 That many people signed up in 48 hours for a chance to get in the GW2 beta. If there’s a lesson to be learned from this? Guild Wars 2 fans are very good at breaking the internet in their excitement. Whoops. But we do it out of love, at least! Edit: the counter just hit a million! One million signups in under 50 hours. That’s 20,000 people per hour, or an average of nearly 6 people per second. Amazing job! So, yesterday morning the embargo was dropped on the closed beta test that the press was invited to over the weekend. The information and articles we got in the morning was a veritable flood, and while it may not take a full 40 days and 40 nights to go through it all, it sure is a lot! I’m not even going to try and go through everything; there’s just far too much. GuildMag has a pretty good list of all of the various articles and video, so I suggest checking that out if you want a slew of stuff to read and watch. I’m just going to recap my favorite bits of info that I found going through it all. One of the first things I found this morning, scrolling through my twitter feed, was this little tidbit from Elisabeth – that human characters do have the chance to establish their heritage. As I intend to make my human character the descendant of my GW1 main – a Dervish who is, obviously, Elonan – this pleases me. Greatly. I only hope that it’s also open for the other background options! A small thing, but important nonetheless. Emotes. Oh my god, the female charr emotes? I was laughing so much. They’re just so perfect, and show off how lovely the animations for this game really are. I particularly loved the “napping” one leading into “OH MY GOD WHAT WAS THAT”, complete with the feline arched-back. LOVE. The fact that we can now do stuff like this. Yes, I’m silly. Yes, I love looking for the highest points in an area in a game…and then jumping off of them. Yes, I am an Assassin’s Creed fan, why do you ask? 😛 I fully intend to scope out all of the viewpoints – I mean, highest points in an area…and then dive to my doom. Why? Well, really…why not?! Mesmers look brilliant. I’m a Mesmer fangirl, and of my favorite professions from Guild Wars, they’re the only returning profession (poor Dervish and Ritualist). I love the way illusions look and work, and I squeed a bit at the fact that one of the skills they have with a sword off-hand is Riposte. People I roleplay with will know why 😛 Mesmers actually appear to be a fair amount more support-based than they used to be, especially if you’re using a staff…but even so, debuffing is a main part of what they’ve always done, and they sure keep that up. They just look like they’re going to be so much fun to play, and I can’t wait. Is there more? Oh yeah, there’s more. WvW in particular looked like it was loads of fun, despite the fact that I’m really not a PvPer at all. Overflow servers are the greatest idea ever, and I’m wondering why no one else has thought of them – who wants to be stuck waiting while they can be playing? And the fact that ANet decided to end it by killing everyone horribly – and the fact that having every player grouped in one small area and spawning giants on top of them caused complete chaos – is just hilarious but also not surprising in the least. I had been hoping to see more on the asura and particularly the sylvari, but they weren’t playable in this build, sadly. Hopefully soon! And at any rate, it is nearly March, and that’s when they’re going to start expanding the beta events to include more people. There’s just so much to go through (and more still coming!) – what were your favorite bits of info from the press beta event? 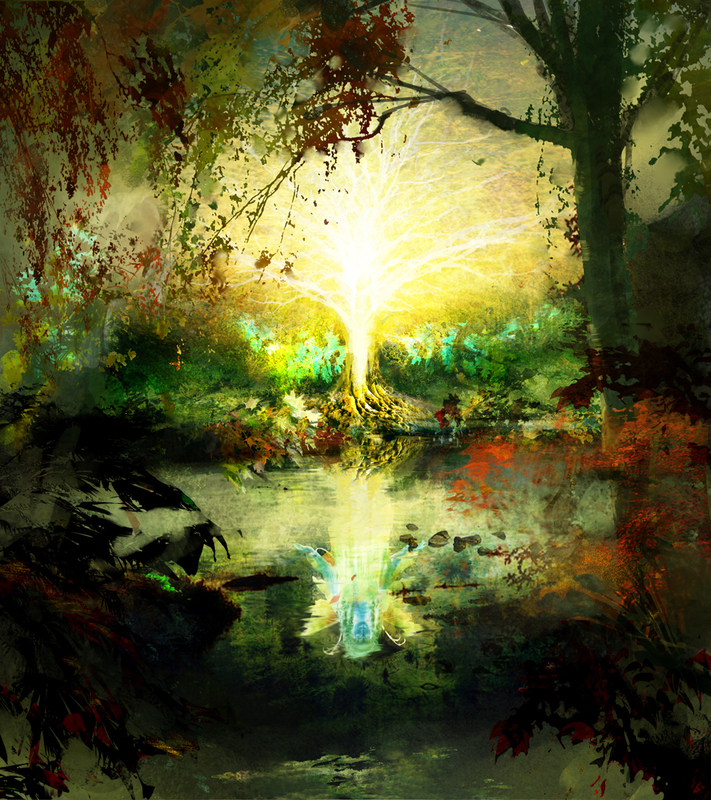 As the release of Guild Wars 2 grows closer, I am looking at making some changes with how I do things here at Under the Pale Tree. First and foremost, I plan on trying to write up posts both more frequently and more regularly. I’ve got a list of potential topics that should last me quite some time, but so long as my time allows for it, I am going to try and update at least once (possibly) twice a week. So stay tuned! Related to that, I have created a suggestions page. Got something you want to see from our point of view? Let us know! We don’t bite. I promise. I also have welcomed a new writer to the blog, so it won’t just be me posting now! You already read his post about World vs. World today, so please welcome my boyfriend, Dak, as the other half of Under the Pale Tree. He’ll be bringing a different perspective to this blog and the community as a whole – that of someone who is waiting fervently for Guild Wars 2, but isn’t actually all that familiar with the first game. He’ll be leaning more towards an analytical post style, as opposed to my love of speculation. He probably won’t be posting quite as frequently as I will, but his posts will be a regular feature here. And of course, thank you everyone for having read and supported this site for nearly a year so far! In a World… vs. World! Hello, Dak here, Verene’s boyfriend! I’m doing a guest post here, after the recent announcement detailing GW2’s World vs. World (WvW) mode. First, some background. I’m not an expert on GW1, having played it little and relatively recently, though I’ve enjoyed what I have played. I have a grip on how the various classes are played, but I don’t have all the best skill sets memorized or anything like that. So this is from the perspective of someone who hasn’t really played GW, which should give a refreshing point of view from the rest of us who are merely waiting to be fanatics. Second, I haven’t touched GW1’s PvP, at all. While I like how GW handles PvP from a design perspective, beating up other people in a hectic battle isn’t my cup of tea. I haven’t played PvP in other MMOs either, and as far as the other genres go… same deal, not a fan of deathmatches, capture the flag, and the like (the sole exception being Assassin’s Creed, for myriad reasons that are not the point of this post). So what’s my view on GW2’s WvW, as a non-fanatic non-PvP upcoming player? Simply put, I’m really intrigued! The first thing that catches my attention is the scope of it all. Massive maps designed to support 300 people at a time, filled with majestic castles, keeps, and camps awaiting worthy adventurers to swarm into them swords and staves swinging. Battles so prodigious they’ll take two weeks to play out. Just the prospect of being a part of something so colossal is alluring in its own way. 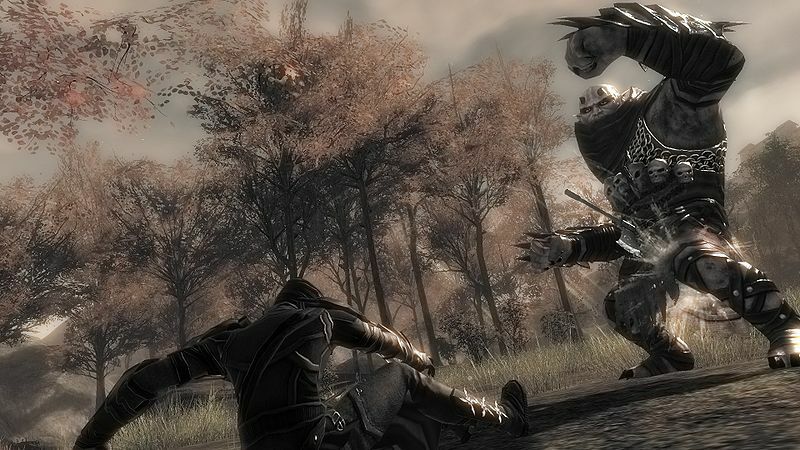 Even if I am a tad squeamish at the thought of joining a group of adventurers and thus having to cooperate with people I don’t know, the size of the undertaking in this case – combined with GW2’s simple and painless grouping system – reverses that worry: in a group of 100, I can work with the force as if they were much smarter AI NPCs in dynamic events. Thank you ArenaNet, for developing a style of PvP that suits those of us who don’t like the pressure of close-knit teamwork. Yes, that's a siege golem. Second, the freedom. Gw2’s philosophy of freeing the player extends to WvW just as much as every other facet of the game, and as a result the things you can do to support your world in its fight are numerous. Join the frontal assault and crush an enemy’s defensive lines directly! Aid the battle by erecting any of a handful of siege engines, and decimate enemy forces or shatter their walls! Or defend incoming supply caravans, to ensure your front line’s steady flow of resources! Roam the countryside to recruit mercenaries to your side, the better to defend your keeps or charge in for a surprise assault! 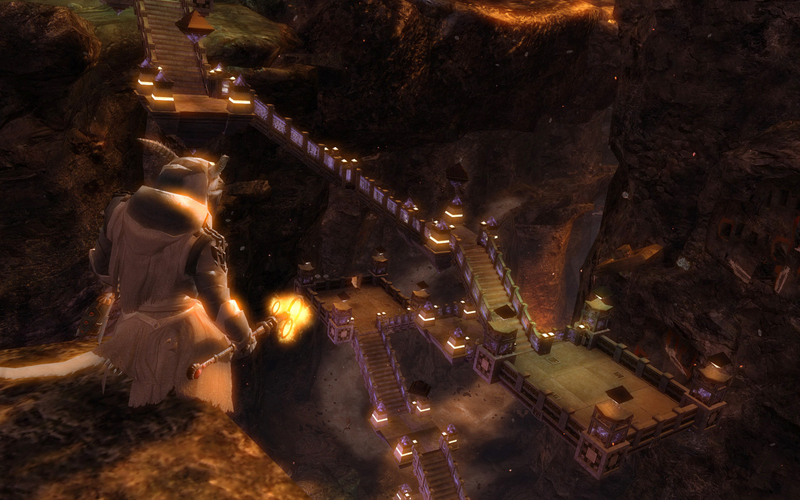 Establish your guild in a specific keep, to harden its defenses and give bonuses to your side! The possibilities are vast, and with such varied objectives you’ll always have something to do, or switch to if you need a fresh approach to the conflict. Third, balance. Like the standard PvP, WvW adjusts everyone playing so that their power is roughly the same as it would be at level 80. Players who have reached 80 will of course have access to many more bonuses on their weapons, and a plethora of elite skills that lower level players won’t have, but the fight won’t be a completely one-sided curbstomp either. Leveling the field in this way means that playing experience counts, but newer players won’t be scared off by capped players decimating them at every turn. And since you earn xp even while playing WvW, those newer players are leveling up and closing the gap as they learn the ropes! Everybody wins! WvW is an exciting concept unlike anything I’ve seen before. Its accommodation for all kinds and all levels of players is very inviting, and its immense scope draws attention for the sheer sense of size and ability to influence the world. 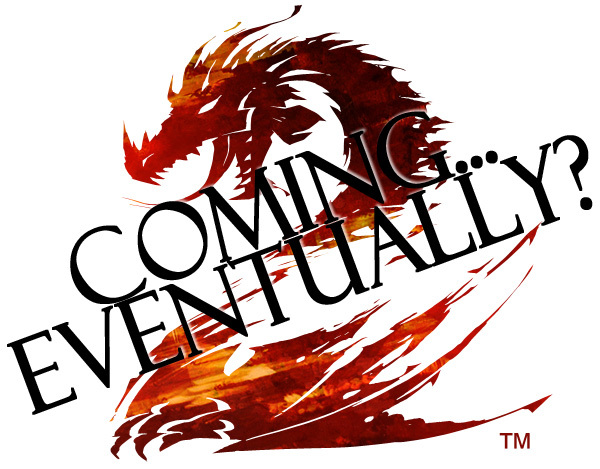 All in all, World vs. World is just another facet to GW2 that causes this relative newcomer to await its release with growing anticipation. Step back, take a breath, and relax. The world isn’t ending, and it does no one any good to get all worked up and immediately jump to the worst conclusions. Unfortunately, sometimes the Guild Wars 2 community is really good at getting worked up over little things, which results in people blowing their tops over things that may not even be true in the lease, misinterpreting what was said, and then this spreads, and others that may not have been familiar with the original item that was causing the issue will just see the misinterpretations, and people who aren’t connected to it at all will just think we’re all nuts. Calm down. It’ll be okay. This week has had this happen several times now. First was a wording change in the GW2 FAQ, about the cash shop, which Martin later explained was meant to clarify things. GW2G had a thread full of people decrying it, though, claiming that this meant the game was going buy to win and obviously you’d be able to get things that gave you all sorts of advantages in-game. Then, the “GW2 is coming to consoles!” debacle of yesterday. A mention of a possibility of a console version coming eventually was made in the NCSoft conference call…and the internet promptly blew up. Many people took that as 100% confirmation that there would indeed be a console version…when nothing of the sort was said. And of course, the standard console vs. PC wars came up again…look, I don’t get the superiority complex, being primarily a console gamer myself, but PC gamers are not automatically better than console gamers. So of course it was not surprising at all but also irritating to see that. And the funny thing is? Back in 2010 this was addressed – there’s a small team at ANet looking into the possibility, but it’s not a priority at all; the priority is making GW2 the best damn PC game they possibly can. I love the GW2 community. But sometimes it can be frustrating. Sometimes I wish more people would calm down and think a bit before they post on a forum (and yes, I’m guilty at times of not doing so myself, but it’s still good advice for everyone, and I do try my best to follow it). And for heaven’s sake, if you’re writing something for a gaming news outlet, check your sources and make sure they actually say what you’re claiming they say, because spreading disinformation helps no one and hurts us all. So, think. Breathe. The world is not crashing down around us all. The less we jump to conclusions and start attacking each other, the better. And being a community mod elsewhere myself? Sometimes I really empathize with how the community managers probably feel when they have to jump in and start putting out fires. Thank you, and don’t lose your sanity over it. Yesterday, the lovely folks over at Wartower.de released a Spotlight Special video that they made. Back during gamescom, they went and interviewed all of the representatives from ArenaNet that were at the convention, asking them one very important question. 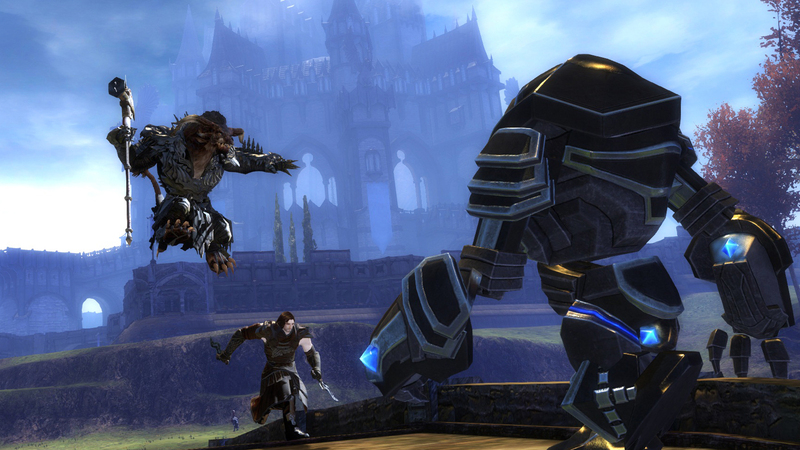 What do you love most about Guild Wars 2? The answers they got essentially covered every aspect of the game – the quest systems, character creation, social aspects, PvP, the artwork…and the community. It’s a 13 minute video, but it’s definitely worth watching, and I highly recommend everyone check it out. It’s amazing to see that the people working on the game are just excited about it as we fans are. How can you not love a dev team that approaches their work in this manner? More than anything else, this just makes me even more excited for the game’s launch. Let’s play the release date game! I’m going to state right off the bat that I do not know the release date for Guild Wars 2, and if you came here looking for it, you won’t find it. This isn’t a topic that is exclusive to Guild Wars 2, but with all of the questions about when it’ll be out coupled with the “it’s done when it’s done” approach ArenaNet is taking to the game (which is awesome – I’d rather have quality that takes a while than it to be rushed), it’s something I feel is worth writing about here. And as I actually work for a video game retailer, this is something I understand and think I can shed a bit of light on. Recently it was noticed that amazon.de has a release date of June 30th listed for Guild Wars 2. Despite the fact that there was absolutely no official word about a release date, this of course got a lot of people wondering if that’s when the game will come out. I say? Not likely. Here’s why – there’s a bit of a logic behind when games tend to release. In the US at least, games nearly always launch on a Tuesday. Why Tuesday? Well, I don’t know, to be honest, but that’s simply how it goes. There are a few Sunday releases sometimes (usually Nintendo games), but for the most part, if a game is street-dated, it will be released on a Tuesday. And now, street-dates on games are incredibly common. Nearly every large title is street-dated. Retailers are not allowed to sell it before the set date, and in some cases playing it before that date (as large box stores aren’t always the best at keeping street dates) can get you banned off of the online network you use (for example – every Call of Duty release coincides with tons of people banned from Xbox Live). Street-dates mean that there are times that a game will release on a day other than Tuesday, as in the Sunday Nintendo releases I mentioned up above, as well as the fact that Sony is launching the Vita on a Wednesday, but even so. Generally, count on a Tuesday release, and if the date claimed does not fall on a Tuesday, toss it out. SD is less important for an MMO, since even with a copy you can’t do anything until the servers are turned on, but chances are likely GW2 will be a street-dated game. There are also certain months that simply do not see game releases. This is less relevant for GW2, as those months have already mostly passed, but it’s worth mentioning anyway. With very few exceptions, nothing comes out in December and January. The reasoning is this – in the US at least, publishers aim to get the major fall releases out in time for Black Friday, which means they’re all out by the third week of November. That way they can maximize Christmas sales and will have made their first week sales early enough that retailers can then put the games themselves on sale. For a similar reason, games do not tend to launch in January because people are broke from Christmas and don’t have the spare cash for such luxuries at the moment. October and November still remain the busiest months for releases, but over the past few years, March and May have also become huge release months. February, April, June, and July still tend to be lighter on launches, while August and September begin the start of the fall release cycle. So sometimes the proposed month in a release date can be a good clue if it’s just a wild guess or not, but you never know – March is such a big month for releases now because of the number of juggernauts that come out every November, and it used to be as barren a month as December was for releases. And then, of course, there’s the actual day itself. It is very rare that a game ever comes out on the first, second, or last day of a month. There are of course exceptions to this if those days are on a Tuesday (recent examples – Uncharted 3 came out November 1st, Soul Calibur V and Final Fantasy XIII-2 came out January 31st), but they are rare release dates. This is likely mostly because of the fact that those days during the big release months don’t fall on Tuesdays very often, though, more than anything else. So when you see dates like 5/1, 5/2, 6/30, etc., as release dates…chances are likely you can just throw them right out as meaningless. It’s not real. Not just because there’s no official announcement, but just because it’s not a likely date at all (6/30 for example is a Saturday). Why do retailers pick dates like these, then? Well, really, they’re just purely for internal use – so that preorders on something can be taken. That’s really all it’s for. And, well. Despite everything I said here, I will point out that ArenaNet has not necessarily followed these rules at all, though when the Guild Wars campaigns and expansion released, releases did not conform to these patterns nearly as rigidly as they do now – the nature of game launches has changed a lot in the past few years, and has done so very quickly. There’s nothing requiring a publisher to launch on a Tuesday in a certain month, after all. But it’s always best to take any claims of a release date with a grain of salt.